We have received your request – thank you! • We will send your invoice by email in the next 24-48 hours. • Payment is due 15 days from date of invoice issue. • Registration of the Attendee(s) will be confirmed when payment is received. 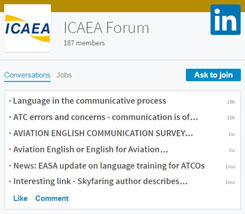 BECOME an ICAEA Member – ICAEA Membership is free!